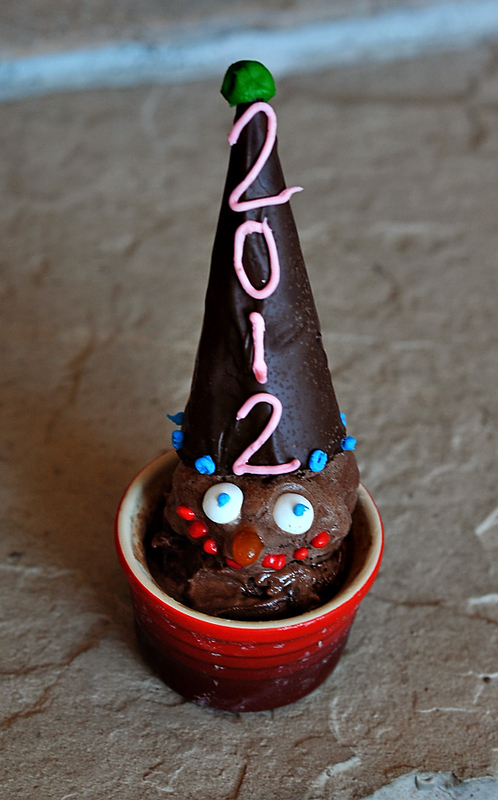 Happy New Years Eve-Eve… It’s been a nice day of nothingness for the fam and I today. We have a friend visiting us from Denver. He, Ben, and the big boys took a nice bike ride this morning while baby and I made a mess of the living room. This afternoon I took the boys to the park and now my house is full of sleeping men! Yesterday my oldest had a little girl from his class over for a play date… We made these ice cream cone hats as a little activity while she was here. 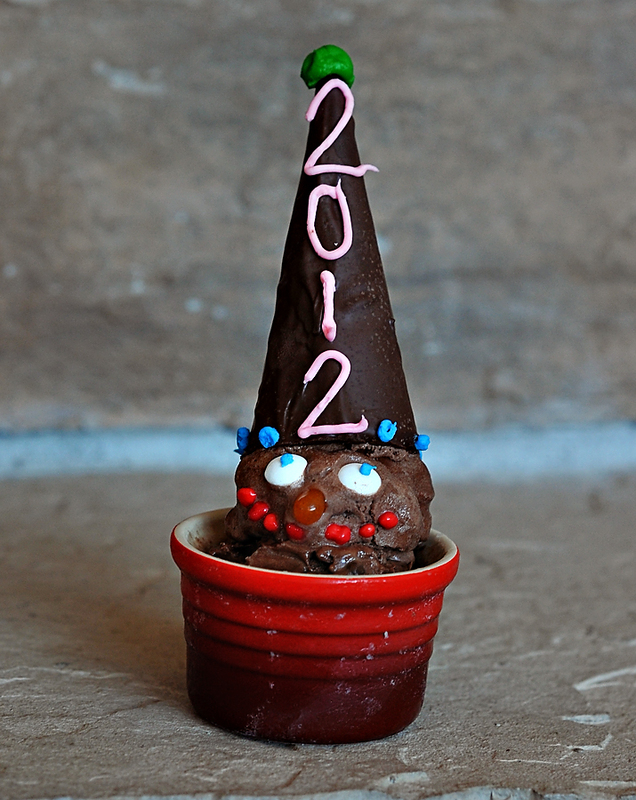 Today the boys and I made “men” out of ice cream and put their hats on them so they could ring in the new year with us! Pretty easy, tasty, and the kids loved it! ** Melt the chocolate chips in a double boiler or microwave until smooth. Roll the ice cream cones in the chocolate until fully coated (I also dipped some of the cones so only the tops of them are covered in chocolate). Allow to cool and harden. You can put them outside (cold climate) or in the freezer to speed this process up. Use the frosting and candies to decorate your hats. You can use licorice rope as string for the party hats if you like… We used the frosting as glue, much like decorating a gingerbread house… Of course the kids hats are FULL of candy and decorations and are also half eaten! ** We obviously waited a little too long to take this pic because our man is starting to melt. In real life this is not an issue because your ice cream is not on any sort of a time crunch and will probably be long gone quicker than you can say Happy New Year! ← What’s Up with Black Eyed Peas??? ?